Pop for the People: Roy Lichtenstein in L.A., an art exhibit now running at The Skirball Center through next March, explores how the artist, a vanguard of the Pop Art movement buoyed by a renaissance in printmaking, made fine art accessible to the American public in ways that had not been achieved before. The Skirball show features prints and a range of media: paper plates, clothing, and shopping bags. The exhibition also highlights Lichtenstein’s longtime collaboration with Stanley Grinstein and Sidney Felsen, co-founders of the prominent Los Angeles artists’ workshop Gemini G.E.L. Their groundbreaking printing house played a formative role in shaping the Los Angeles art scene and helped transform the city into a global center for printmaking and Pop Art. Our visual arts writer Kirk Silsbee covered Gemini G.E.L. in a story here. 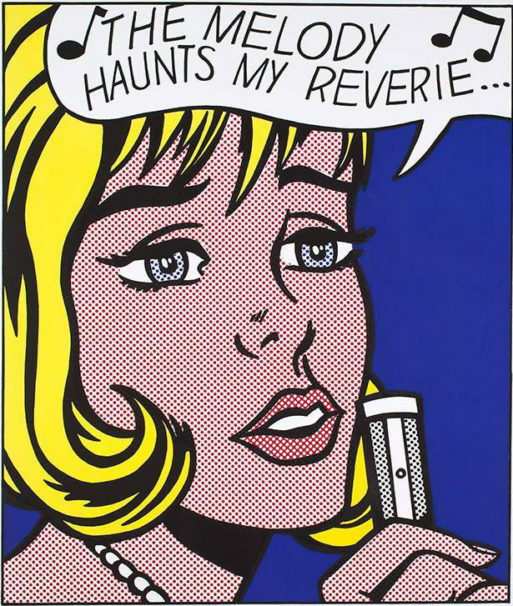 Join William Hackman and Hunter Drohojowska-Philp, two arts critics keyed in on the historic and current scene of Los Angeles art, in conversation with exhibition curator Bethany Montagano about Roy Lichtenstein’s work in the context of the Los Angeles art scene. Art writer Jori Finkel will moderate. olderDance on, three nymphs, at Hollyhock House!